We are committed to ensuring that your privacy is protected. By using our website and services you consent to our collection and use of your Information as described in this Policy. Should we ask you to provide certain information by which you can be identified when using this website or support services then you can be assured that it will only be used in accordance with this privacy statement. In addition to the Policy, each service offered by us may have additional privacy provisions that are specific to that particular service. These supplemental disclosures are made adjacent to the particular service at the time your information is collected. We are committed to ensuring everyone can use our website and have developed the policy to suit different user needs. Our website has information on how to make this page more suitable for you http://creativediversitynetwork.com/accessing-this-website/. Similarly, we want to ensure you are able to use this policy. Please contact us if you would like further assistance enquiries@creativediversitynetwork.com. If you’re just browsing the website, we passively collect the same basic information that most websites collect through cookies, flash cookies, web beacons, pixels, log files, and other technologies. This is stuff we collect from everybody, whether they have an account with one of our services or not. How can I find out what data you hold for me? You are entitled to access the personal information that we hold. You can email a request for a copy of the information we hold to our office, ask for information to be updated, edited or deleted by contacting enquiries@creativediversitynetwork.com. If you wish to contact us about this policy, or for further information about any information we hold about you, please email our office enquiries@creativediversitynetwork.com or write to us at Creative Diversity Network, 94 – 100 Euston Street, London NW1 2HA. This website is operated by Creative Diversity Network (company number 09483794), whose registered office is at 94-100 Euston Street, London, NW1 2HA, United Kingdom. For the purposes of these Terms and Conditions: “We”, “Our” and “Us” refers to Creative Diversity Network while references to “You” and “Your” refers to the persons supplying personal data. 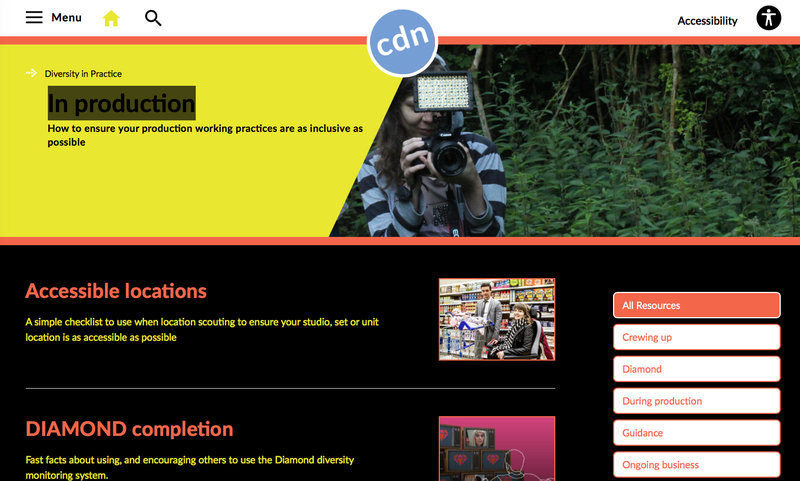 All of the UK broadcasters are members of the Creative Diversity Network: BBC, ITV, Channel 4, SKY, S4C, BAFTA, Creative Skillset, pact, ITN, MediaTrust, VIACOM, and Turner.